The MBA education becomes wholesome when it is complemented by the guest lectures. 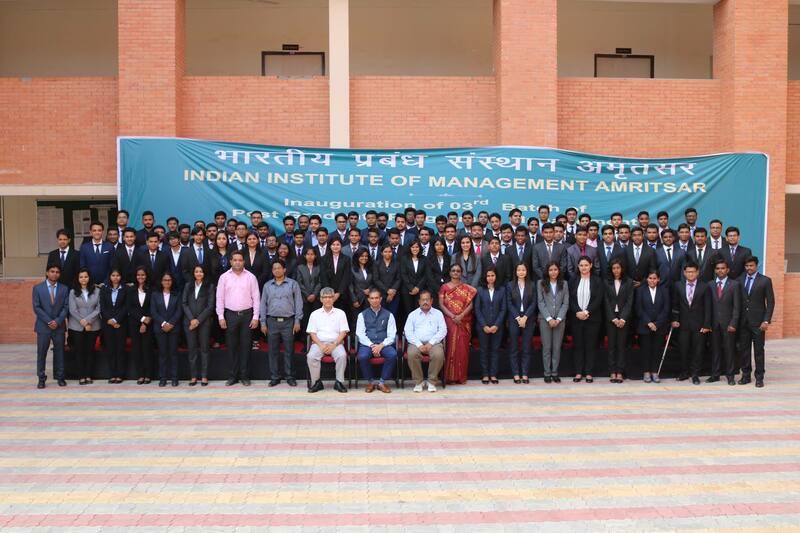 IIM Amritsar gives a special emphasis on the guest lectures along with the academic coursework because hearing new voices provides students not only with different points-of-view, but also with potential resources they can apply in later courses. In its series of guest lectures, this time Mr. Asit Mahopatra, Senior VP HR future group was invited to share experience in the areas of Human Resources Management, Quality, Industrial Engineering and Employee Relations. Mr. Mahopatra has been certified as an Executive Coach by the European Coaching Federation. He is also certified as a Master Practitioner of Neuro Linguistic Programming (NLP) to conduct psychological tests like SHL, MBTI, Thomas Profiling and Predictive Index (PI). After a brief tête-à-tête with the excited PGP batch on new functions which HR has to perform in the modern times, he conducted a blindfold field activity. The students were given the instruction of the game and were divided in the group of two. Both the teams could successfully crack the code of the game within the stipulated time and Mr. Mahopatra was extremely delighted with this. The fun activity carried a deep learning inside. The purpose of the game was to impel team members into working together more closely. After the field activity, participants moved to the lecture hall again. It was indeed a power packed program followed by an intensive Question Answer session, wherein students willingly got all their doubts and concerns clarified from the Resource Person. The students were highly engrossed & captivated by the lecture. They were very much impressed with the speaker and opined that he had kept them engrossed by being very interactive. Program was an enlightening and enriching experience for students and all enjoyed it to the core. The speaker also appreciated the students for being very communicative and well informed. Program ended with Vote of Thanks by the Industry Interaction Cell, IIM Amritsar.